What retail specialty makes up the majority of tenant space in Edina's Galleria? It's not apparel. 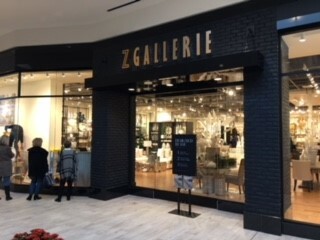 With the opening of Z Gallerie on Friday, more than half (51%) of the luxury center's tenants sell home furnishings. The Gardena, California-based home furnishings retailer brings a dose of glitz and glamour less prominent in Galleria's stores such as Crate & Barrel, Pottery Barn and Arhaus. It's not all glitz. 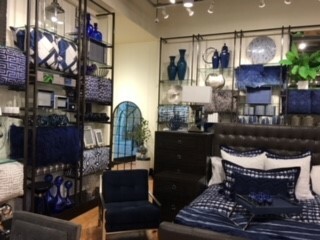 About a third of the store is bling, but there's also a relaxed aesthetic and a modern one, said Cathy Jones, Z Gallerie's district manager from the Midwest region. "This is fashion for your home," she said. The selection is a mixture of art, accessories and furniture artfully curated so that the consumer can look at a display wall and pick and choose from an eclectic mix of pillows, vases, art, accent furniture, and throws in complementary colors. "You can redecorate a room just by looking at one wall in the store," said Jones. The art selection, called the gallerie, is the essence of the 30-plus year old company which is named after the founders, the Zeiden family. Three Zeiden siblings started the business in Los Angeles as a poster shop. In the current selection, framed art, nearly all exclusive to the store, ranges from $50 to $900. Select pieces of original art are sold on Zgallerie.com. Prices for the sofas, chairs, bedroom sets and occasional tables sit firmly in the moderate range rather than luxury with most occasional chairs starting at $700 and sectionals starting at $1,700. "We design exclusive decor and accessories with value in mind," said Gordon Andahl, public relations manager at Z Gallerie. The new store is located in the Galleria's expansion made possible when Barnes & Noble moved to the lower level. Other stores in the expansion include Cov Restaurant, Starbucks, Soft Surroundings, Roe Wolfe, Porsche, Griffin Gallery, and Big Island Swim & Surf. Chico's recently relocated there and Scheherazade Jewelers and Shinola will join the expansion soon.